Starting a business is quite easy but making it a successful brand is what makes you a true leader. One can simply start a website but scaling it and making it into a brand takes years of dedication and hard work. And then something comes which people recognize just by its name. I have personally worked with many companies online for their different part of the business and the common problem I found is the branding issue. They spend millions of dollars on marketing efforts but forget the basic part of the business, which is the brand name. Have you ever wondered why, if a couple of companies are bidding for a project, despite of a higher bid, the big company most of the time win the project, why? That's because of the power of a brand name! Yes, if you have a recognized brand name, your client won't have any second though about working with you even though there are many others waiting in line for the same work. So, I thought of writing a detailed post on how to create online branding for your business. This post will give you 10 solid online brand building tips for your business. These are generalized online brand building tips and so no matter what business you are, you can adopt these tips. Why building an online brand is so important? And there are many such benefits of building an online brand. If you have a good brand name and you are charging more, for any business, customers are likely to buy your service or products. A perfect example is Microsoft Azure in the big data cloud space. Although there are much cheaper Hadoop cloud service providers available, Azure is leading the segment despite of being costly. That's possible because of the trust we have on Microsoft. 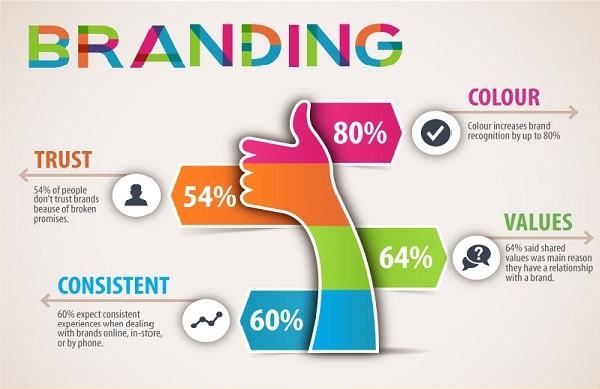 I hope I am able to clear the point as for why your business needs online branding, and quickly. Now, let’s see some important technical tips for online brand building! 10 online brand building Technical Tips on the edge! Here are the 10 important technical tips for online brand building that you should implement right now. Here I am mentioning technical, and that's because you need to put some effort from the technical side to create your online business reputation. This is the first step while going for your online business. In our earlier post, how to start an online business from scratch, we have also emphasized this point. Invest your time and energy in finding the brand name for your online business. Once you have shortlisted a few names, head over to the Internet again and look for whether or not there is another business with the same or similar name. You should always try to avoid similar names or matching ones. Your brand name should be one of a kind! Once you are successful in finding a name, you can simply get it registered legally. You may also look for trademark registration depending on the nature of the business. Brand name registration is different in different countries and so, you should look for your local laws. Yes, this is the second and another important tip for online brand building. Your logo should be designed in such a way, that it would show some meaning and somehow depict the kind of business you are doing. Make sure it is professional and good looking, as the logo will be the face of your business and will be the first step for all your branding efforts. You may get it done from any number of professional designers, or, the best is to use some tool on your own and see which logo is the best fit for your business. You can create a logo using Wix's platform. They are trustworthy and provide an excellent platform to create a perfect logo for your business. It’s totally customizable, which means your logo will be totally unique, and plenty of personalized design options are available which will make your work even easier. The primary reason why I recommend people to create a logo using Wix is, Wix is one of the largest website builders in the market and so, they have plenty of data telling you what will work for your online business form an online brand building point of view. Yes, while selecting the online brand name, you should also make a checklist for your domain name. Make sure for the brand name you are suggesting; the corresponding domain name is available. This is quite important for successful online branding. We have written few posts on how to select the best domain name and 5 cheap domain name registrars which you can refer to get a clear idea on the domain name selection and registration. You definitely need a place where you can sell your product or list your services or simply convey the words you are trying to make. If you are looking for personal branding or trying to establish yourself as an industry thought leader through blogging, you should have a professional blog. If you are providing a service or you are trying to open an e-commerce store, you should select the appropriate theme or template as required. You can use a website builder, which will help you create stunning websites from scratch or by customizing some existing templates. Again, Wix can help you here. They are one of the leading website builders in the market currently. There are many ways to spread awareness. As we are focusing on online business and online brand building we will consider only tips which are suitable for online brand building. You can make a paid promotion where you target your potential audiences through social media ads like Facebook ads, Instagram ads, Google AdWords, Bing Ads. These sources will give some solid online brand awareness by spending some money. Parallelly, you should invest in SEO for your business. SEO is a long-term process and you may not see results quickly but once you have started ranking, the impact is huge. Also, you don't have to spend much on SEO as you do for paid promotions. Follow other promotion strategies like Email Marketing, blog promotion, display marketing etc. as well to build a brand online. Again, which methods you should use most depends on the kind of business you are doing. Also, be precise while selecting your audience and market. I won't be a suitable audience for a Ferrari, hope you got the point! It is quite important to show your availability on respective channels for quick brand building. For example, if you are dealing in the fashion niche, you must have a beautiful presence on Instagram and Facebook for sure. Similarly, depending on the niche and business you are in, get your availability on the suitable platforms. In general, everyone should be on the major social media platform and avoid the common social media mistakes to have a better online brand name. In the above point, we ensured to have an online presence on all the major social media and other directories. But all these platforms have their dedicated audiences. For example, LinkedIn has professional audiences while Facebook has general social communities. And so, while you will be interacting with these two different social media, you may have to manage the audience in a different way. But one thing that should not change is the message. Be clear about what you are, what you offer, and the credibility of your brand. We need to show the world that we are the expert in something which we are offering. Only then we will get what we came for online. And this is quite important for your online brand building. Let’s say you are offering a machine learning solution to your clients. Then you may do some podcast or webinars to show how skilled you are and how you can help business. You may also allow some of your top leadership to speak in a public event that can attract the business community of your niche. Make sure to select the relevant events only for maximum benefits. And then you can show those events as your milestones while pitching to any client. Sharing your thoughts is quite important and what can be better than a blog! Yes, with every website, one should have a blog attached where the company should share the relevant information. Especially, if you are running a tech domain, this is a must. A blog won't only help you share your thoughts but also create the wiki section for your users and of course help in the SEO as well. You should check our detailed guide on how to start a blog on WordPress from scratch for more details. Again, building something is definitely hard work but maintaining the same for longer is even harder. You must ensure that there should not be something which may impact all the hard work you have done for online brand building for your business. For that, you should deliver what you promise to your clients; do things in a legal and precise manner. Whenever and wherever possible, make your brand name make an impact. Also, you may go a bit offline to convey your words. Like you may what to produce some brandable goodies (coffee mugs, T-shirts) are the best example. 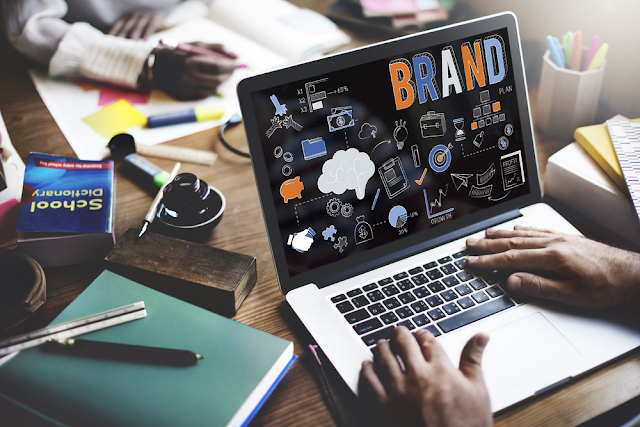 These were the top 10 tips for online brand building. Every business, no matter whether it is big or small must focus on online brand building otherwise no matter how good your product or service is, someone with more budget will come and will surpass your name and clients. What else you do to create and maintain a brand name?